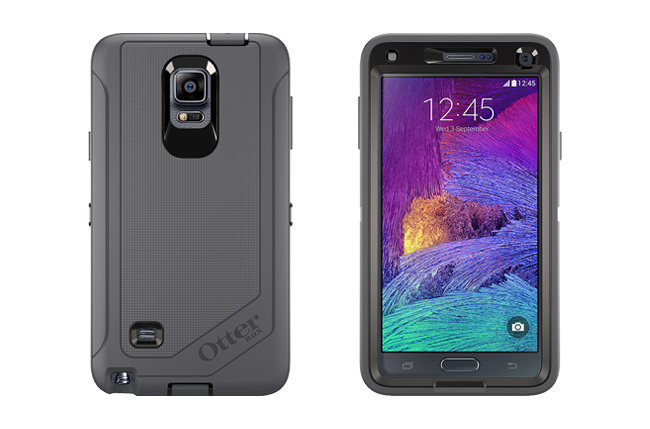 The Galaxy Note 4 is a beast of a product, but so is every case featured in OtterBox’s noteworthy Defender Series. The heavy-duty accessory utilizes a two-piece polycarbonate inner shell that snaps around the device, along with a durable slipcover designed to wrap around the inner layer, providing some of the best production available. A built-in screen protector and port plugs also ensure your display stays scratch-free and your phone’s openings remain devoid of any unwanted dust and debris that would otherwise enter your device. It’s not waterproof, but there’s a good deal to be said about rugged, shock-absorbent construction and exterior design. The lesser-known manufacturer Cush Cases isn’t particularly known for crafting the most durable products on the market. 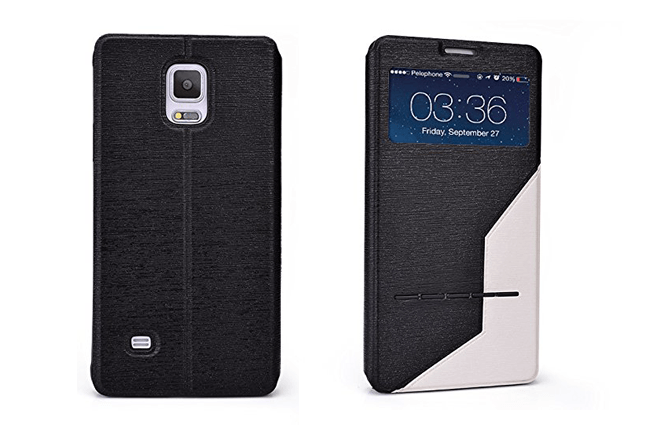 It’s Galaxy Note 4 Flip Case, like most of the company’s products, relies more on style than substance. Each offering sports a two-tone design and a semi-flexible polyurethane shell for added protection, as well as additional stitching around the the brim to help prevent unwanted edge stripping. Its biggest appeal lies in the transparent window adorning the front of the case, though, one that allows you to view alerts and answer calls with your finger without ever having to open the case. Well that, and the ability to use the case as a stand when viewing content on a flat surface. 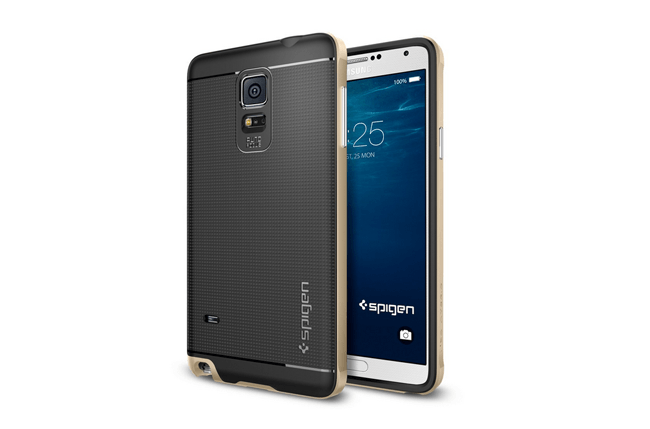 Spigen may not be as renowned as OtterBox in the realm of protection, but it is a mainstay among case roundups. The company’s Neo Hybrid Case is a welcome compromise between sought-after style and admirable protection, with a price point that’s nearly half the cost of its burlier counterparts. Nonetheless, the dual-layer offering touts a flexible TPU case alongside a polycarbonate frame, rendering your phone less likely to take damage when dropped. 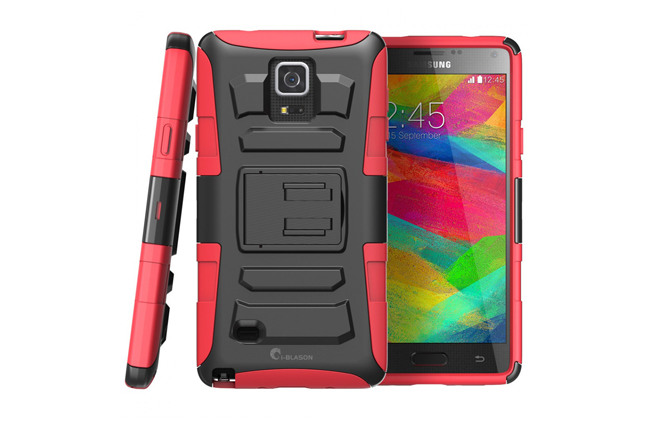 Moreover, the sleek case showcases metal buttons, a slew of color options (red, gold, silver, blue), and textured mid-section for improved grip. 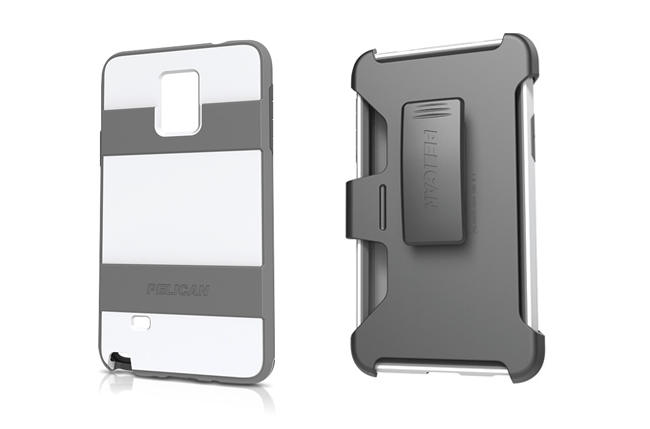 Easy access to your smartphone camera and various ports are only an added plus. Considering the high price of electronics these days, finding a capable accessory under $20 is a steal. The i-Blason Holster Case is a perfect case-in-point (no pun intended), lined with a 360-degree belt swivel and a holster for securing your new smartphone in place with a simple locking mechanism. Impact-resistant polycarbonate material and a shock-absorbing inner sleeve guarantee it offers just as much protection as it does features, while precise cuts give you full access to your ports — that is, when you’re not busy adjusting with the case’s integrated kickstand for a better viewing angle.